In the hotly-competitive midsize car market, consumers looking for affordable wheels have some great choices in these Best Cheap Midsize Cars. All have a starting manufacturer’s suggested retail price (MSRP) that’s under $25K, which is really about where a midsize family sedan should be priced. Of course, savvy consumers should work all the angles, including manufacturer’s rebates and other incentives, to get the best deal. 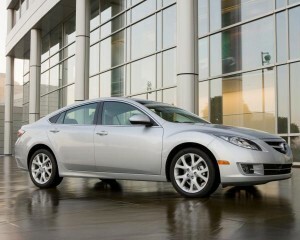 Other choices that nearly made the list for Best Cheap Midsize Cars include Chevrolet Malibu (starting MSRPs from $21,825 for LS to $26,605 for the LTZ trim), and the all-new midsize sedan from Suzuki, the Kizashi (with starting MSRPs $18,999 for Kizashi S FWD to $26,890 for Kizashi SLS AWD).